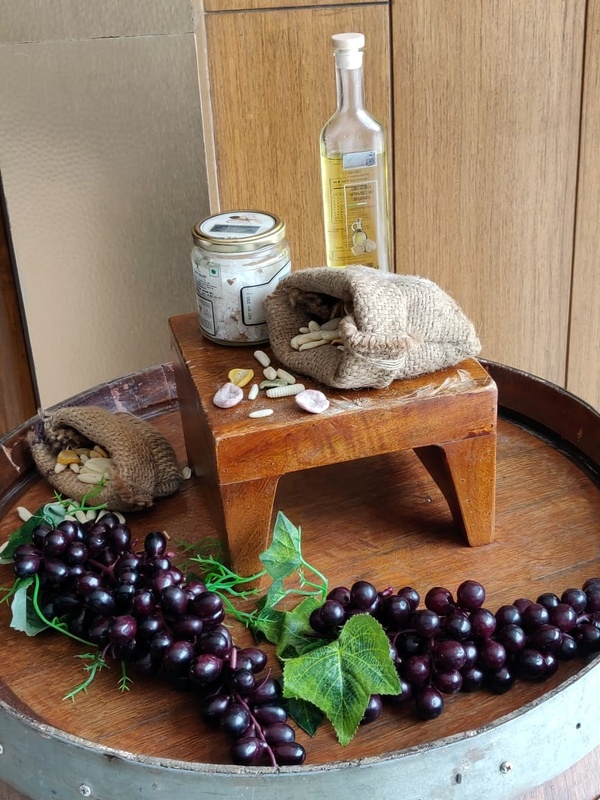 A meal at Bene dispels many myths associated with Italian cuisine and what shines though here is the quality of ingredients that make for a superlative dining experience. Before starting this meal, I had the pleasure to chat with the very talented Chef Roberto Apa who is in charge of the culinary creations here. A seasoned professional he has worked as a Chef in locations like Italy, China and Monte Carlo. For someone who started young, it was his grand mother who suggested he be a chef. He has worked in Michelin starred restaurants as well as on a cruise liner and a private yacht too. 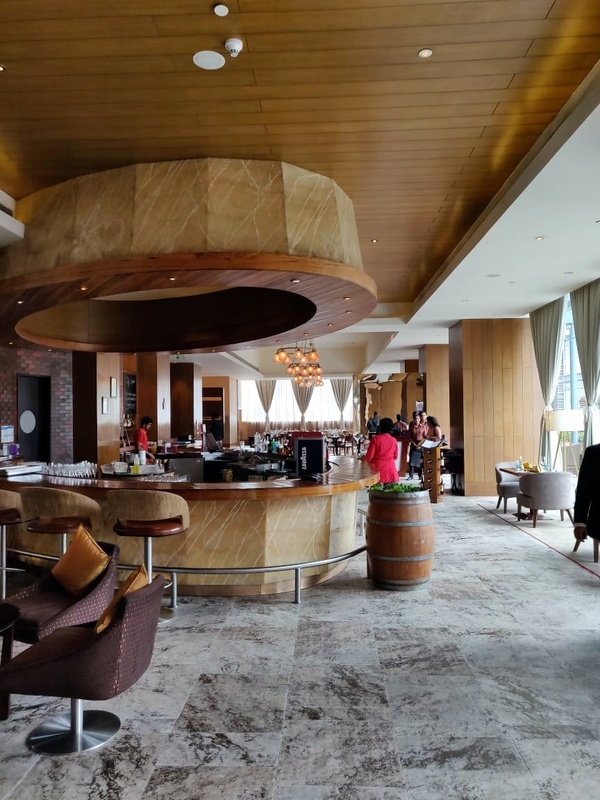 The menu at Bene is simple – well for one the food menu has five pages and is divided into different sections that makes the choice both simple and easy. Our meal started with the Amuse bouche, in this case a small pizza dough ball on a pesto sauce base with a dash of micro greens. 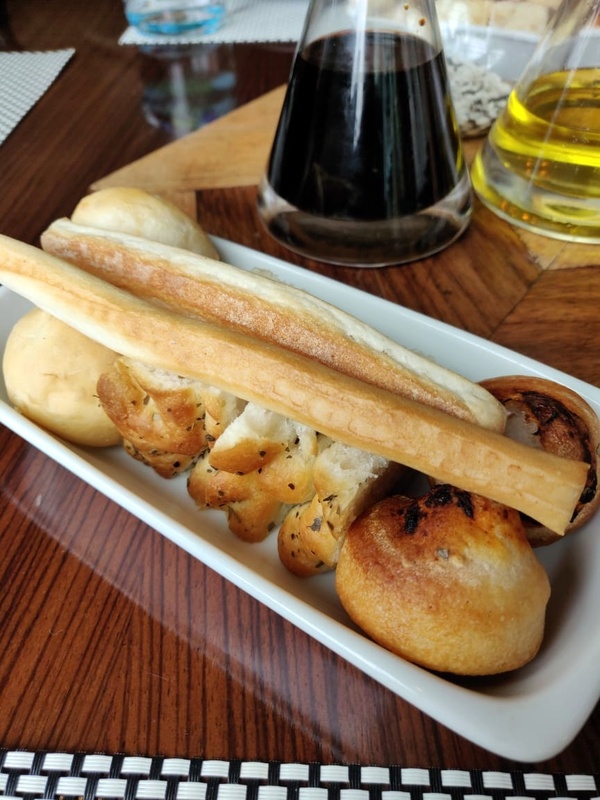 A basket of freshly baked bread was polished off as soon as it arrived. For the Antipasti we sampled the the liquid caprese, a tomato and cream dish served in a shot glass that is best had at one go. The Caesar salad was fresh with Romaine lettuce, croutons, sundried tomatoes and topped with Caesar dressing and Parmesan shavings. The winner was the Parmigiana di melanzane, a crisp fried eggplant dish that was layered with air whipped mozzarella, tomato confit and basil sauce – guaranteed to send you to culinary heaven. 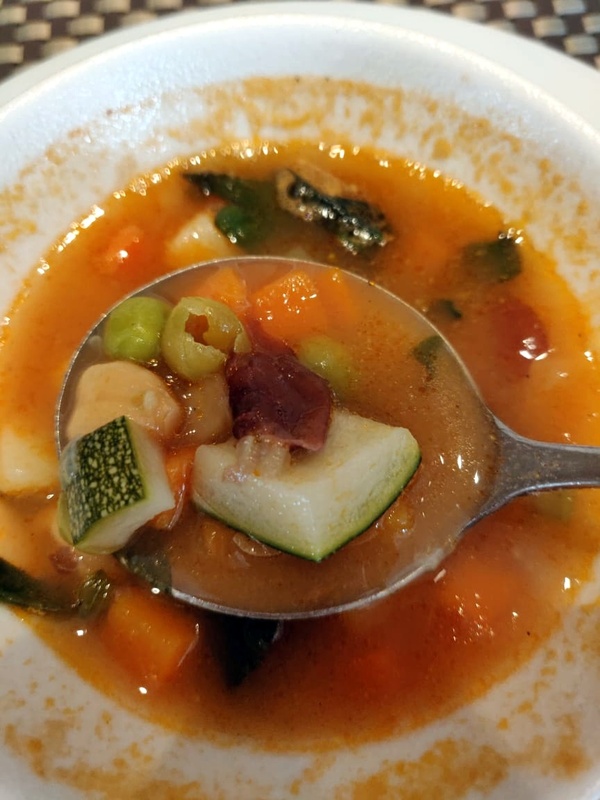 I also recommend you try the Minestrone soup, the classic Italian spring vegetable soup has a mix of vegetables and lentils that will you feeling satiated. The toasted country bread makes the perfect accompaniment to the soup. Before starting this meal, I had the pleasure to chat with the very talented Chef Roberto Apa who is in charge of the culinary creations here. A seasoned professional he has worked as a Chef in locations like Italy, China and Monte Carlo. For someone who started young, it was his grand mother who suggested he be a chef. Having worked in Michelin starred restaurants he has also worked on a cruise liner and a private yacht too. 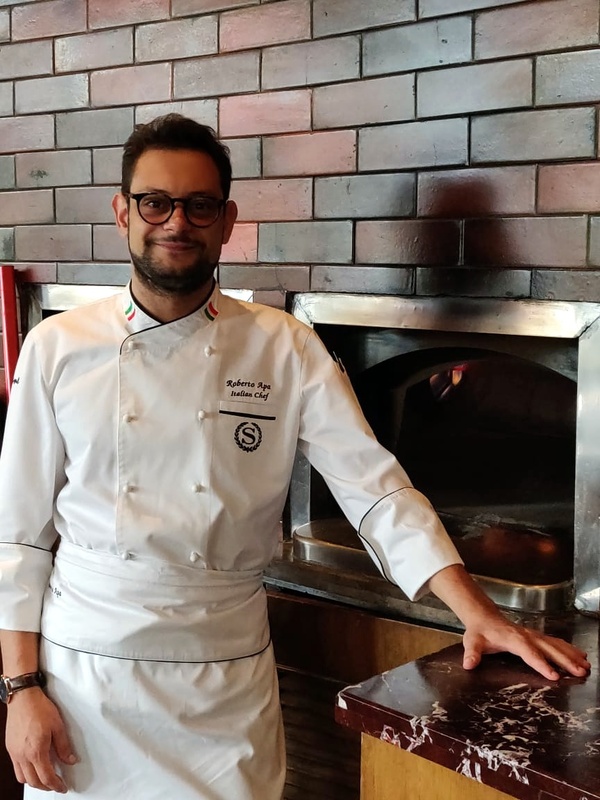 Being from Naples, Chef has curated dishes that are authentic and the best part is that you never feel the overdose of cheese in any of the dishes. 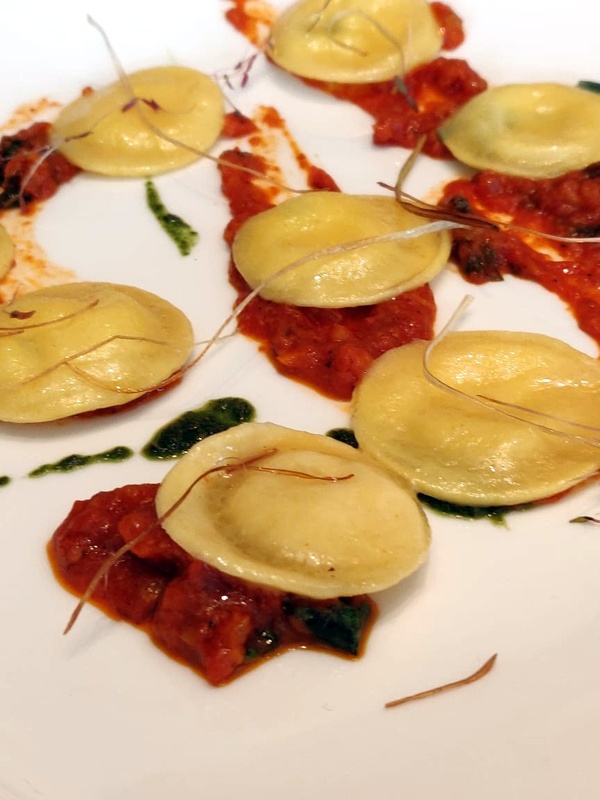 Take for example the Pasta Caprese a handmade eggless pasta stuffed with Burrata, cherry tomato confit and crisp fried leeks – a testament to his culinary expertise. For pizzas we sampled the Pizza alla parmigiana topped with cheery tomato, egg plant, mozzarella cheese, parmesan cheese and basil that is delightful. 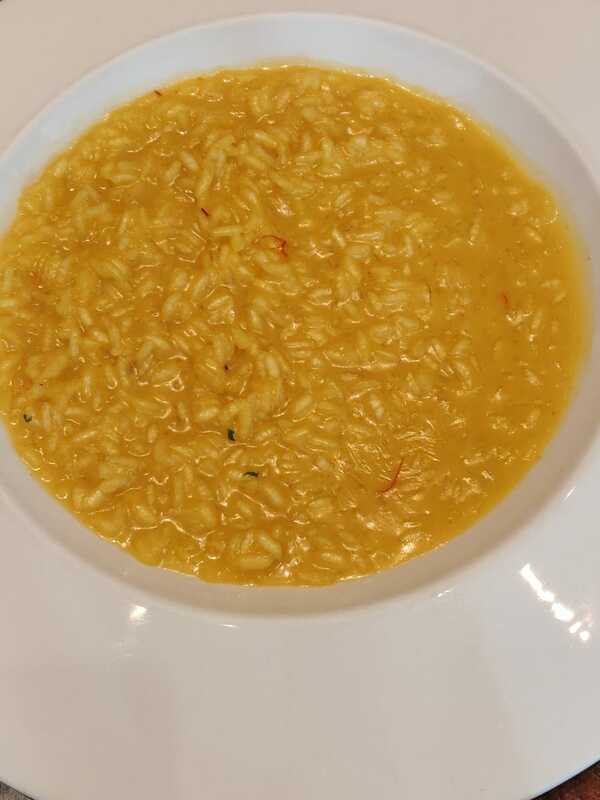 Chef also served his saffron risotto, Risotto Zafferano e pollonero with real saffron strands that made the dish a winner. 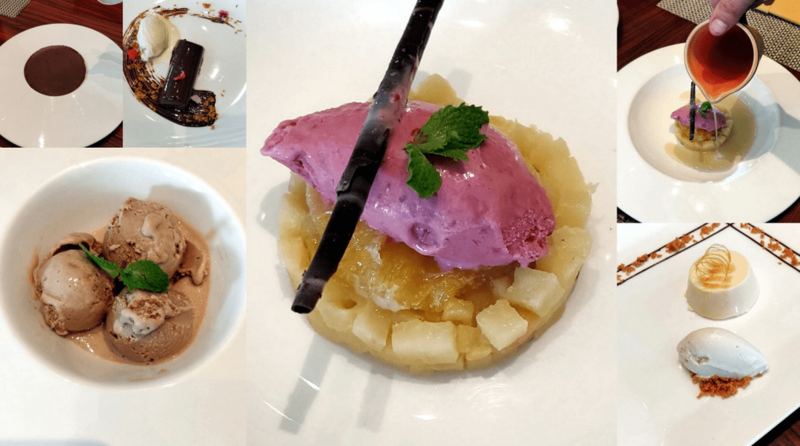 To round of the meal on a sweet note, we were served an assortment of desserts including Chef’s experiments with Masala Chai that was served in the form of a delighful ice cream. We also tried the Torta Caprese a delicious Italian almond cake served with exquisite salted cashew ice cream, Zabaglione a deconstructed pannacotta with marsala and Tiramisu 3.0, a delightful melange of mascarpone cheese, egg custard, Bailey’s liqueur, cocoa powder, savoiardi biscuits, coffee and chocolate discs that comes together beautifully. 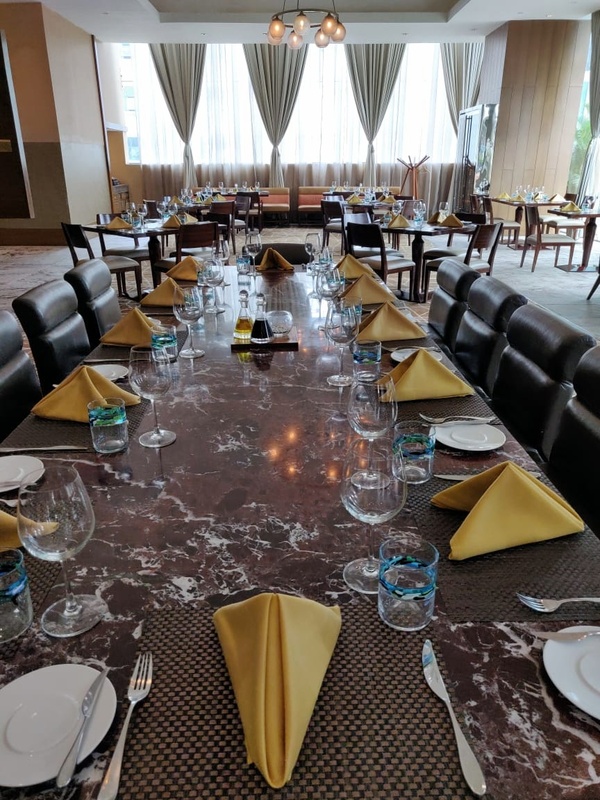 A meal that was as memorable for its flavours as it was for the conversations around it!